Unnamed man said he saw a disc on the ground near Area 51 military base. Sceptics say suggested a simple explanation for the bizarre sighting. 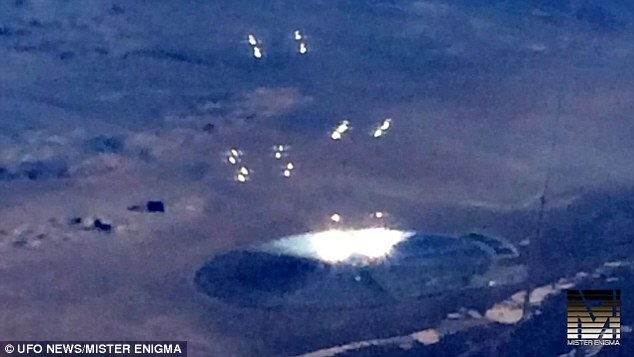 An airline passenger claims to have captured images of a UFO giving off ‘bright lights and orbs’ on the ground near the top-secret Area 51 military base. 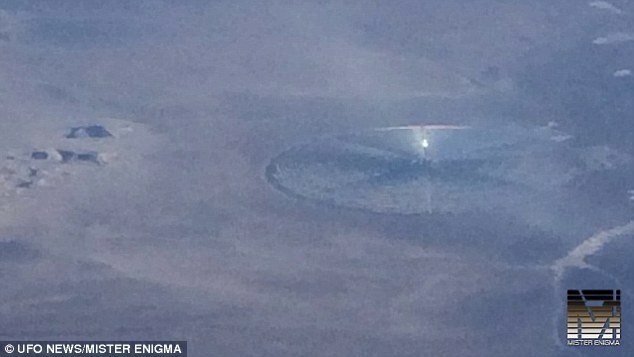 The witness was on an American Airlines flight from San Jose, California to Houston, Texas, when he took a series of pictures of a giant metallic disc in the Nevada desert. He said the plane was flying near Luning and Gabbs on October 30 when he noticed ‘blinding bright light’ in the desert below. The unnamed man reported his sighting to the Mutual UFO Network which investigates UFO sightings in the US. 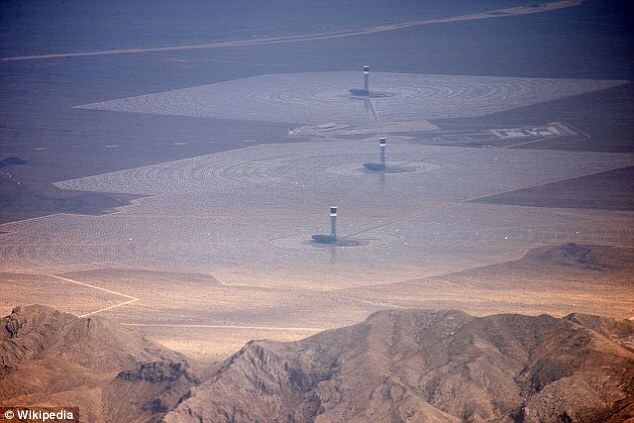 But all may not be as it seems with some pointing out that it could actually be a giant solar farm near the site. 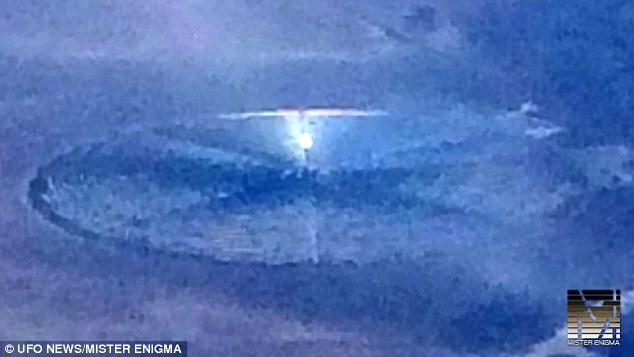 He told the organisation: ‘I was on an American Airlines flight from San Jose, Ca to Houston, TX on October 30, 2015 when I noticed a blinding bright light in the desert near Luning and Gabbs, NV. ‘I saw a large silver disc that appeared to be in the middle of the desert. This disc was shooting orb like lights into the air. ‘The disc itself had multiple lights that were blinding to the eyes. I pulled out my phone and took pictures until my phone died. He said neither the captain nor fellow passengers said anything and the plane carried on until the disc was out of sight. The United States government only acknowledged the existence of the off-limits military base in the southern Nevada desert for the first time in 2013. Scott C Waring, editor of UFO Sightings Daily is quoted by the Express as saying: ‘This disc formation on the ground does have the appearance of a landed UFO on the ground. ‘Gabby is about 140 miles south west of Area 51. The person caught a cloaked (hidden) UFO in the area. 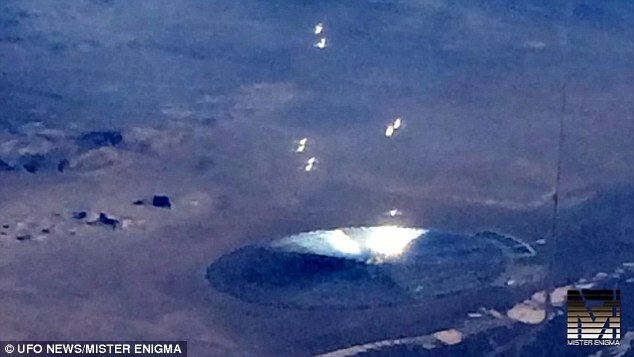 The metallic of the UFO is partly exposed and I’m sure it wasn’t for long. The Mutual UFO Network has reportedly classified the sighting as ‘unresolved’. UFO is Detonated Over San Diego — Chembomb or Secret Military Project? 3 mind-bending discoveries that prove giants existed on Earth? 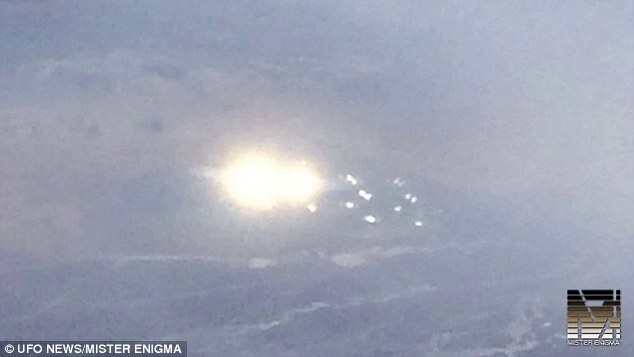 Previous Article← Couple Capture Stunning Footage Of UFO Hovering Above Military Base–Is It Real Or A Hoax?